Ok, I know a grocery store isn’t technically “dining” but daaaaaayum! 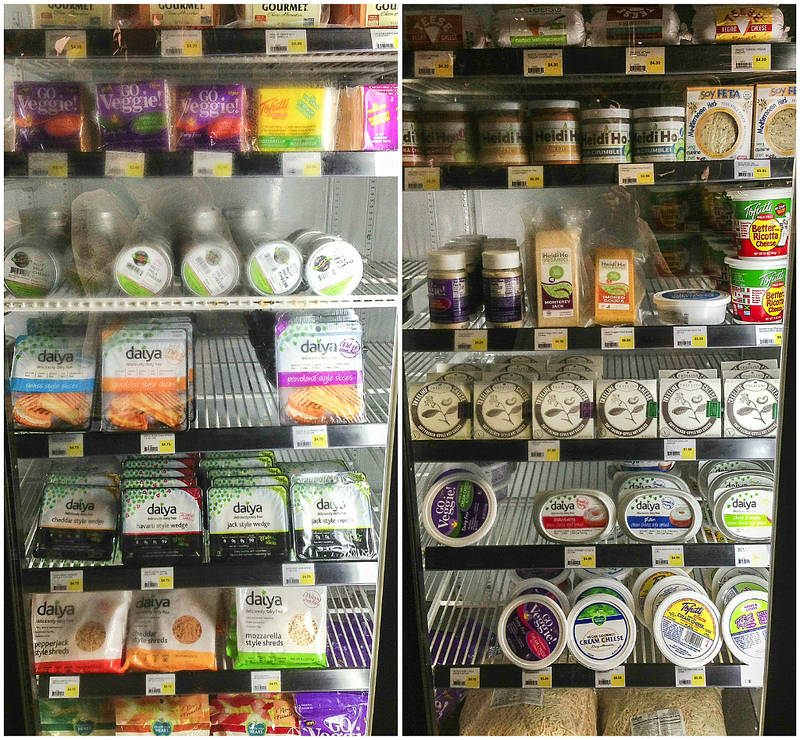 You need to check out the vegan eats at the new Viva La Vegan Grocery in Santa Monica! I began to see pictures of this place and the awesome bounty people were picking up there on my instagram feed while I was out of the country and I got vegenvy (Vegan Envy). 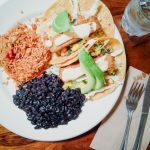 Ok, it probably wasn’t that extreme, but I knew that as soon as we got back to the states, Chris and I would be checking Viva La Vegan out as soon as we could. And that we did. In less than 48 hours after we got off the plane. 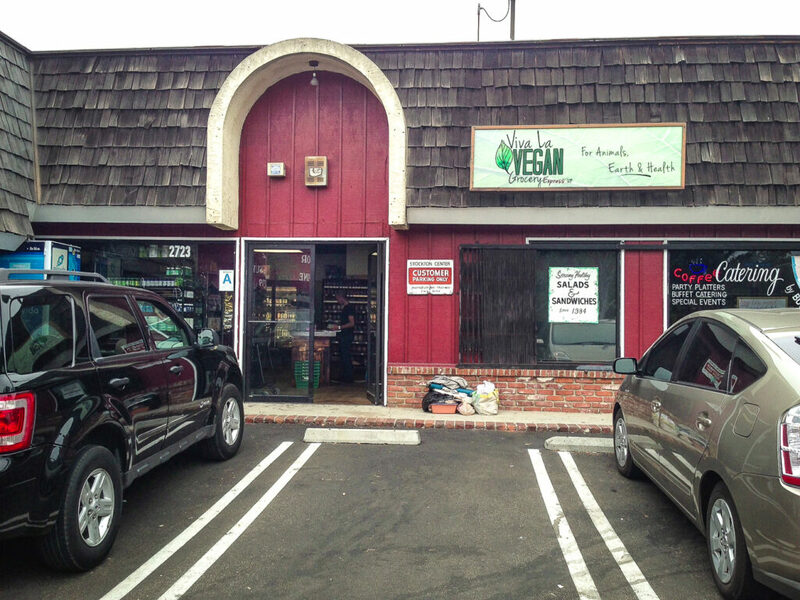 Viva La Vegan is a fully vegan grocery store in Santa Monica. “Fully vegan,” as in “Everything in the entire store is vegan so you can shop without checking any labels and possibly find cool vegan stuff you’d only ever heard about online.” This is actually their second location, their first being in Rancho Cucamonga but I’d never been because when am I ever even remotely close to Rancho Cucamonga? Never. 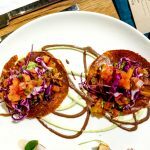 This new Santa Monica location, however, is just over a block away from a Native Foods so if you want a full afternoon of awesome vegan shenanigans, all you need to do is head over to Ocean Park Boulevard. West Side representin’! As you can see from the pictures, the places is packed to the max with vegan goodness. Vegan grooming products? They’ve got some I’d never even heard of before. Vegan glue? You bet they have it. 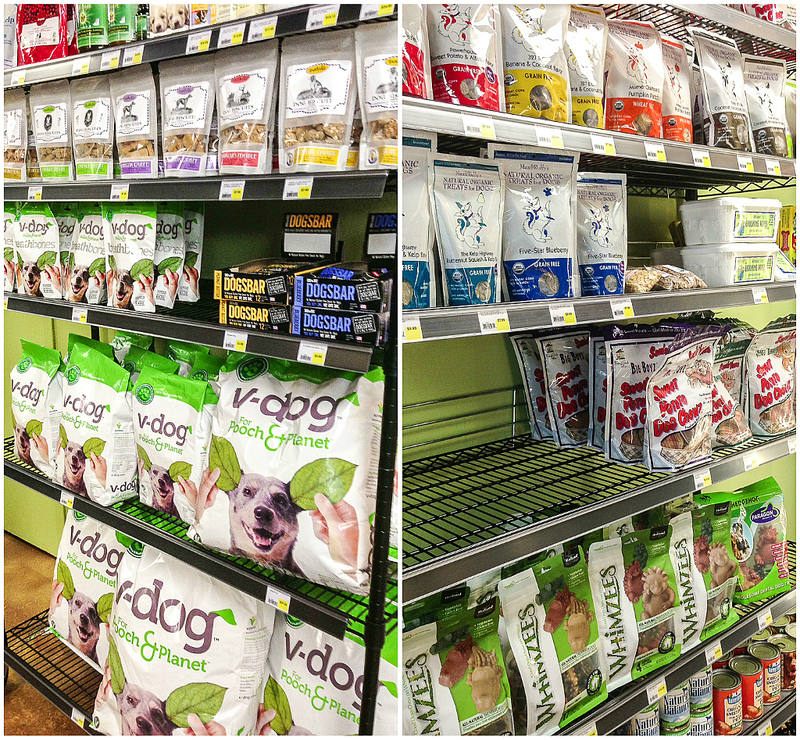 Vegan pet supplies? Tons. Vegan ice cream? Three freezer sections worth. Products you’ve never seen in person before, like Match Meats, Treeline Treenut Cheeses, Punk Rawk Labs Cheeses? Of course. Products you’ve always had to order online, like Butler’s Soy Curls? Yup. 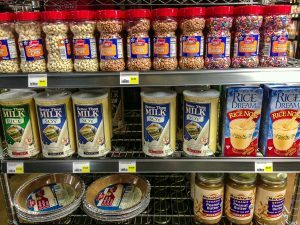 Products you didn’t even know existed, like vegan butterscotch chips? Darn right they do! I’ve been to a vegan grocery before, Food Fight in Portland, but Viva La Vegan seemed to be a little bigger. I loved Food Fight, but I have to say I was also even more amazed at the selection at VLV. And they were giving away Cocomel samples at the cash register so there’s that. 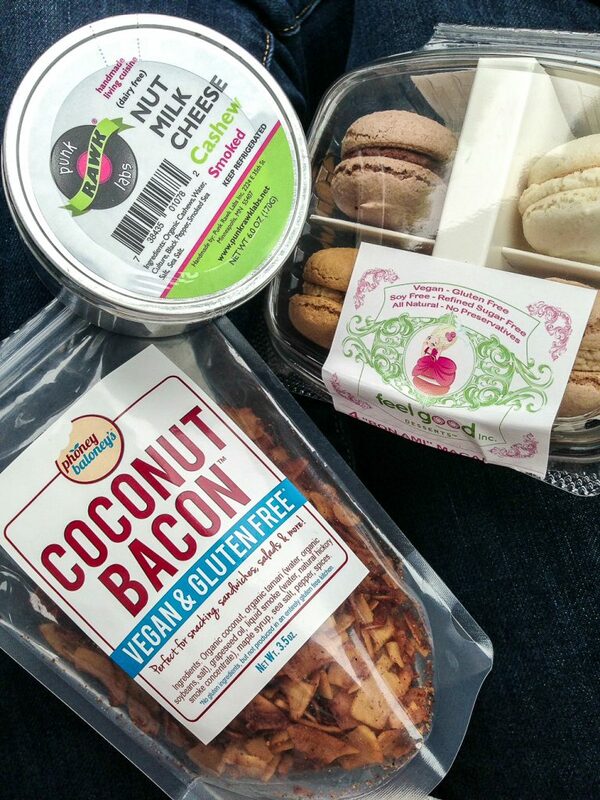 I left with a bag of Phoney Baloney’s coconut bacon, which I’ve always wanted to try but never got around to ordering; a tin of Punk Rawk Labs Smoked Cashew Cheese because I’ve always wanted to try it and have never been able to find it; and a box of Feel Good Desserts vegan macaroons because as you may remember, I friggin’ love these things! I’ve made a salad with the coconut bacon and look forward to making some vegan BLTs with it very soon. The cheese blew mine and Chris’s minds. It’s now one of my favorite things about life. And the cookies? We polished them off on the drive home. If you live in LA or you plan on traveling here, you need to check out this shop. 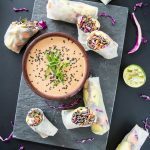 Stock up on all of your favorite vegan items and things you haven’t been able to try yet. You’ll probably see me there, dancing joyously in the aisles. 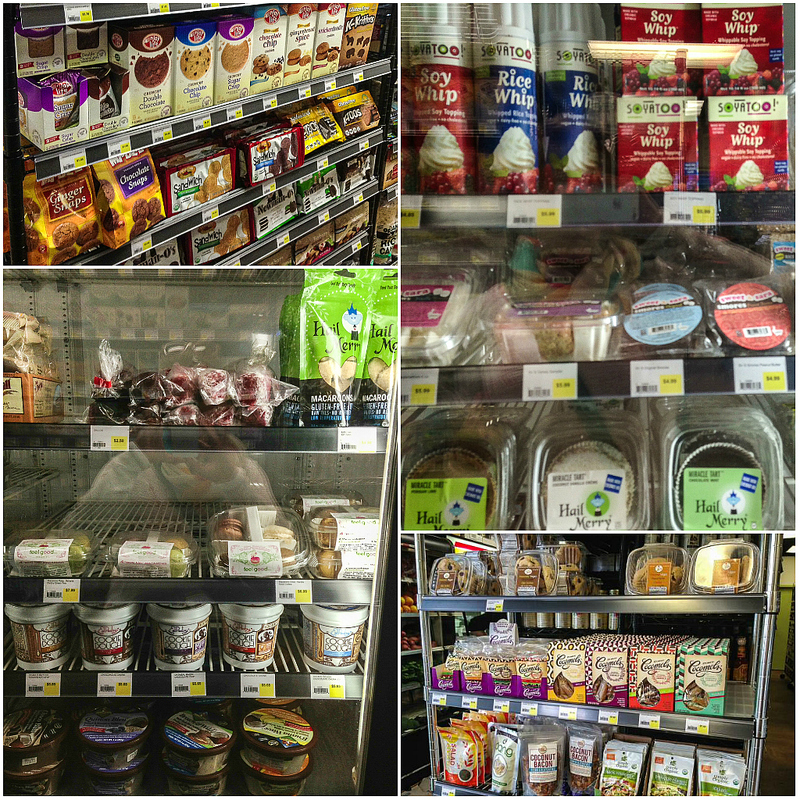 19 Responses to "Dining in LA: Viva La Vegan Grocery in Santa Monica"
Um this look like HEAVEN! 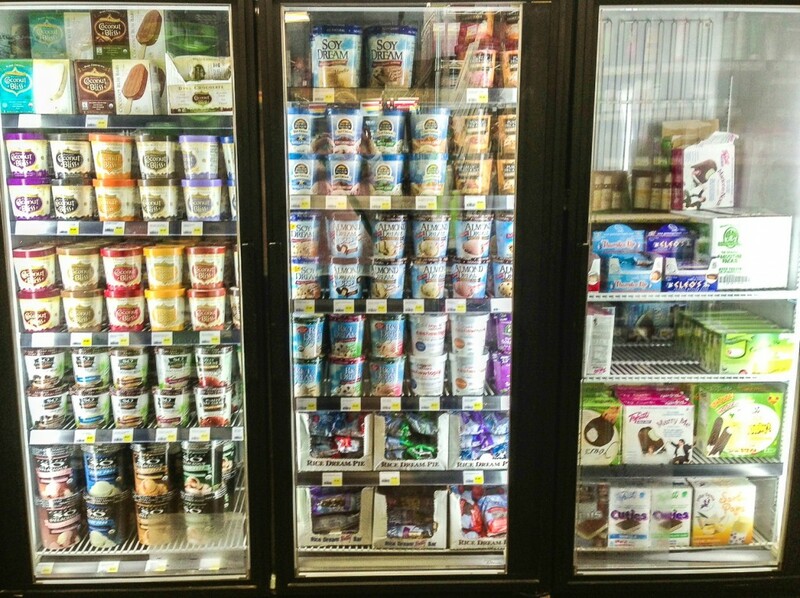 That giant freezer filled with vegan ice cream! England needs to catch up! How in the world did you restrain yourself from clearing out that store? I would have been piling up a few shopping carts 🙂 Anna absolutely LOVES Max & Ruffy’s treats, you should pick up some for Samantha sometime! My wallet restrained me, actually. 😉 Thanks for the tip on the treats- I’ll pick some up the next time we’re there! I know- I can not quit those cookies. Can. Not. Quit. And yes, you so do need to get some of this cheese- it is mind-altering! ‘Vegenvy’ to funny. I could spend a whole paycheck there in one visit, too cool. 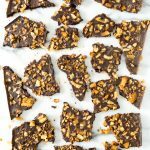 Angela @ Canned Time recently posted…Kathy Hester’s ‘Chocolate Chip Cookies For Two’ – plus a giveaway! nice.. that is one big grocery store! we have vegan haven here which isnt too huge but great. that reminds me i need to go to their bake sale today and pick up goodies! OH MY GOD. You don’t even need the internet! You can get everything you need right there – and not pay for shipping! How awesome to have all those ice creams and all the different kinds of Daiya… and stuff like that. 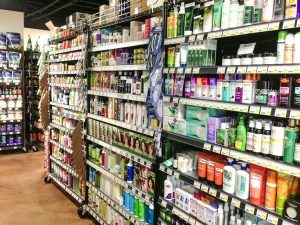 I feel like there are so many products I read about but I never see in the store. What super fun!!! Oh Amey- it was sooooo much fun! I seriously was on Vegan Awesomeness overload by the time we left. I couldn’t even process everything that I saw there. So amazing! Oh, I do just wish for such a vegan packed supermarket. Mind you, without it we might just be eating more whole foods over the processed that the shelves might offer us! All of that and Cocomel samples too? What was that you were saying about vegenvy? Someone hold me, please…. We used to have Punk Rawk cheese available locally, but sadly, it didn’t sell well enough to keep around. I think it was just too pricey for the market. It’s too bad, because it’s easily my favorite store-bought vegan cheese.